The charm, the character, the essence of anearlier time when life was elgant, sophisticated, and romantic. It's all here, the "pepper-shaker" tower, the stained glass windows, and crystal chandeliers. 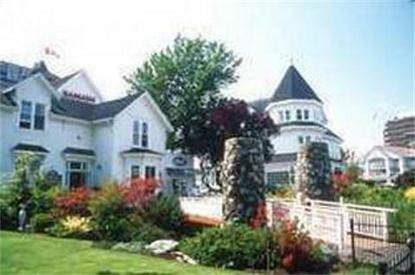 Stay in one of the 19 Victorian-style rooms overlooking the inner harbour. Stroll the landscaped grounds, or explore our heritage neighbourhood, the legislature, ogden point, and downtown.